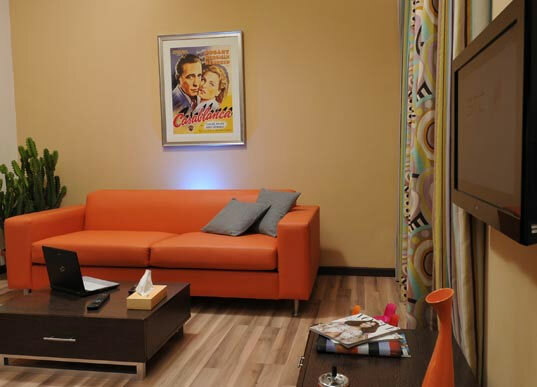 The Suite Hotel Chrome is located few minutes up the hill from the main North Beirut freeway, in Jal El Dib District. With views of the beautiful Mediterranean and the rolling hills of Mount Lebanon, the location is central to all major destinations, and amid a busy area of shopping and entertainment activities. “The Suite Hotel Chrome is quiet, comfortable and very well priced, with arguably the best value rooms and suites available in Beirut". Welcome to where comfort meets contemporary living. The Suite Hotel Chrome has 44 suites. It offers affordable and elegant accommodation for families, couples and singles. All suites have modern and stylish décor, and are equipped with a kitchenette, satellite TV, a large bathroom and many more facilities. 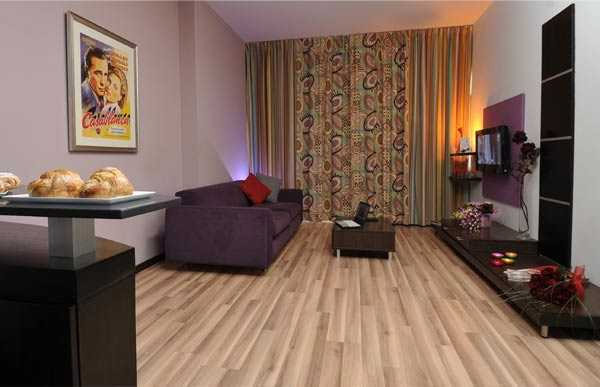 There are 5 categories of suites; Family Suite, Executive Suite, Deluxe Double Bedroom, Junior Suite, and Standard Room. As you step in from the main street, or take the lift from the private underground car park, you reach the bright grand lobby which includes the lounge bar, with large and relaxing leather lounges, a stylish dining area with a large screen TV, and a friendly reception with direct access to the conference centre and other facilities. Suite Hotel Chrome is located in a central location for every area and destination in Lebanon. It is about 10 minutes drive from Beirut Central District, and 15 minutes from the Airport. It has a central location to all tourists' attractions in Lebanon , from Tyre , Saida, Beitteddine, through Beirut, and Jeita to Harissa, Jounieh, Faraya, Byblos , Tripoli , and the Cedars. It is only few minutes away from the Damascus Highway leading to the spectacular Bekaa Valley , the Qaraoun lake, Zahleh, and Baalbeck. 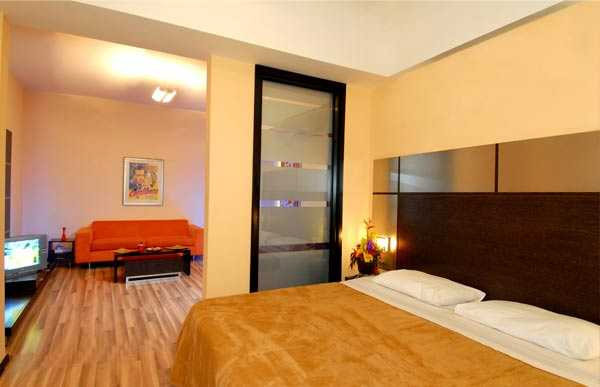 The Suite Hotel Chrome nestles amid a large shopping complex and a busy business area. Various services are within walking distance. You will find a gymnasium, mini-market, pharmacy, mobile phone office, car rental, hair and makeup, arts and crafts, photography, florist and many more. Our friendly staff is more than happy to assist and help make your stay more relaxing and enjoyable. “The Suite Hotel Chrome is quiet, comfortable and very well priced, with arguably the best value rooms and suites available in Beirut”. The following is the ‘rack rate’ list of prices. The Suite Hotel Chrome has 44 large suites divided to 6 categories; Family Suite,Deluxe Double Bedroom, Executive Suite, Junior Suite, and Standard Suite. 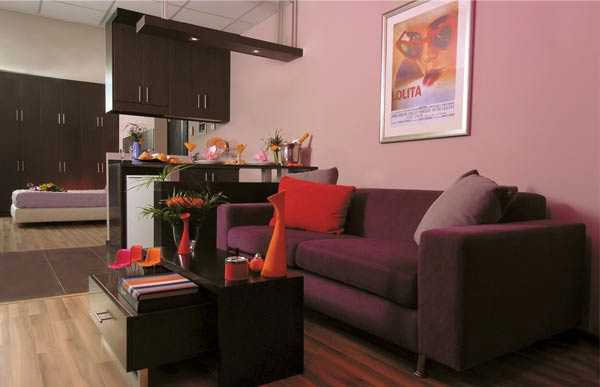 All suites have lively colors and a joyful mood. 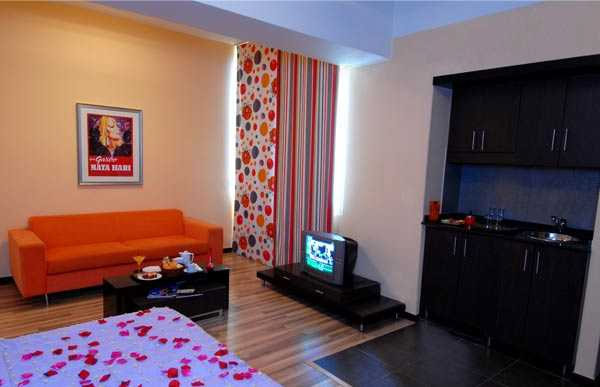 They are furnished with comfortable beds, large relaxing couches and all the necessary amenities. 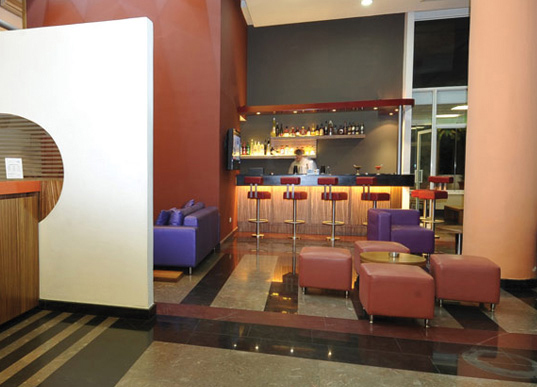 They are tastefully decorated in a modern and stylish design, in keeping with the main design concept of the hotel. Electro-magnetic cards provide access, and control the electricity in every suite. They all have large modern bathrooms, kitchenette with a working bench and fridge. There are also large closets with clothes hangers and drawers. Every suite enjoys an independent air conditioning system with automatic climate control, a direct telephone line, and a front desk service 24 hours a day. 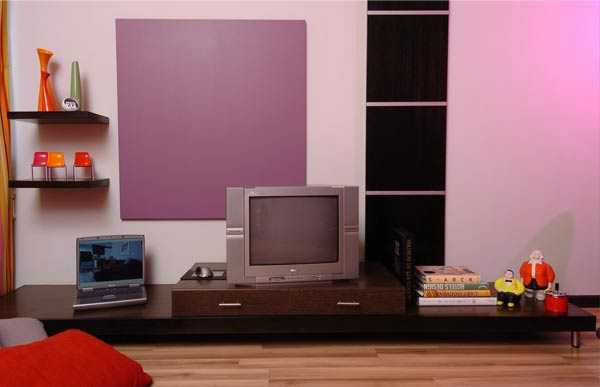 And for your entertainment, you can enjoy dozens of satellite TV channels day and night. All suites have generous living and work areas, spacious modern bathrooms with a private toilet, shower and bathtub. They are all serviced with fresh towels, soap and shampoo, and complementing amenities. Items such as hairdryers, iron and board are also available upon request. 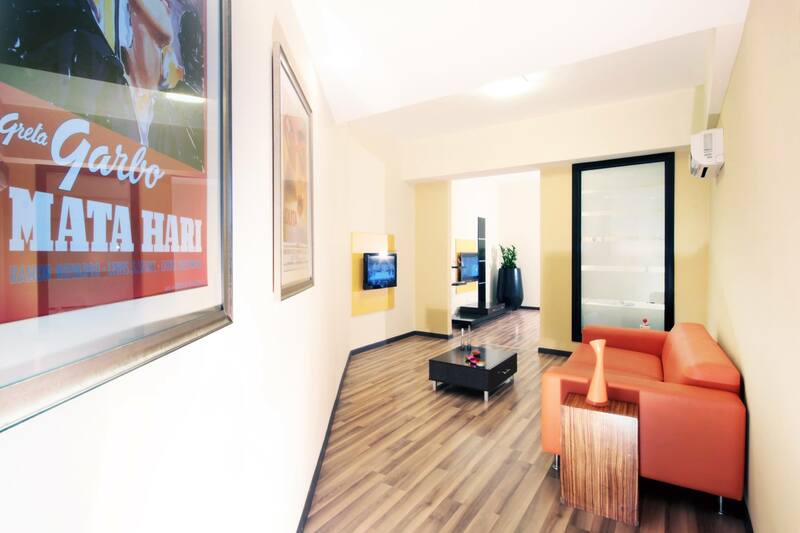 Characteristic of an apartment, ideal for business and leisure traveller. Open space bedroom and lounge room, separated from the bathroom with a 180 cm round Jacuzzi. 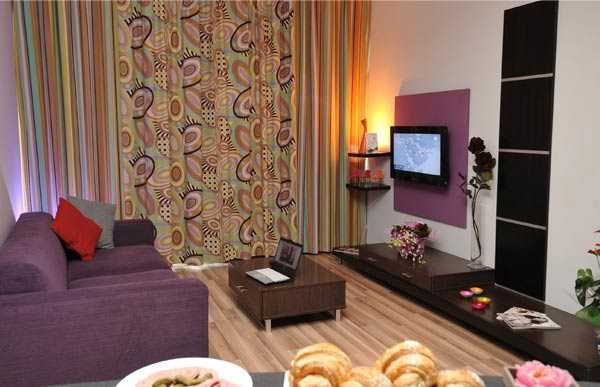 Characteristic of an apartment, ideal for families and groups. Spacious 50 to 62 m2. Independent 2 bedrooms separate from the lounge room and the bathroom. Large windows and some with a spacious and private balcony. Bathroom, Kitchenette, Fridge and other amenities. 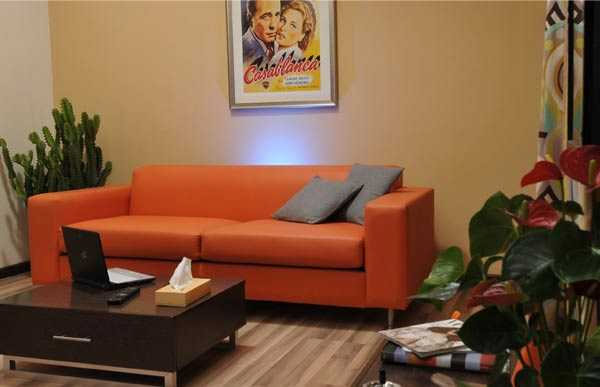 Characteristic of an apartment, ideal for business travellers and families. Spacious 41 to 62 m2. Independent bedrooms (or open space) separate from the lounge room and the bathroom. Open space suite ideal for long stay. Spacious 31 to 43 m2. Large lounge area with a relaxing couch. Large windows and some with a private balcony. Ideal for business travellers, single or double. Spacious 21 to 30 m2. Two twin size beds, could be joined as one king size bed. 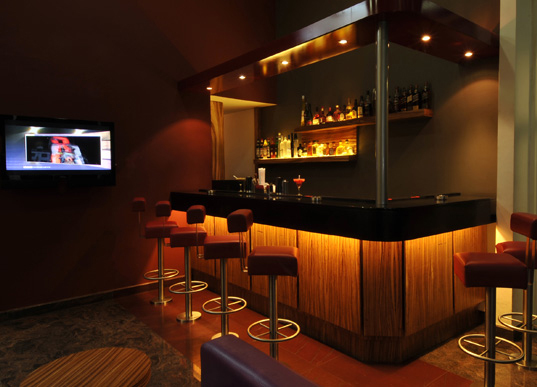 The Bar Lounge has a trendy and modern design with a double height ceiling. 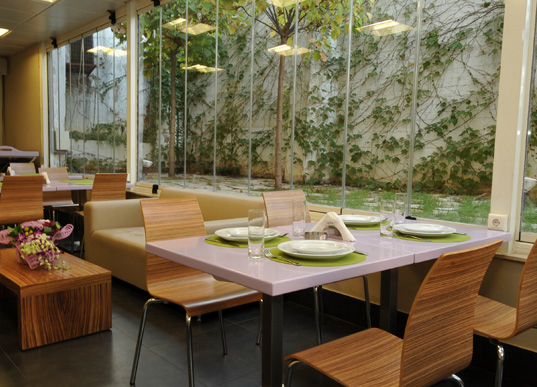 It mesmerizes the senses with the lively colors, the pleasant lighting and the private lounge corners. This is the grand lobby at the Suite Hotel Chrome. It has large and relaxing leather lounges, a stylish dining area, with a large screen TV, and a friendly reception with direct access to the conference centrer, the restaurant and other amenities. “… it has a very quiet and pleasant atmosphere, the beautiful space and the friendly staff make it ideal for your corporate meetings and conferences”. 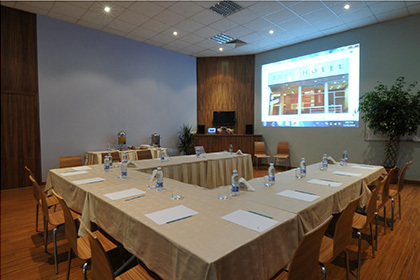 The large conference room, located right behind the main lobby, and directly connected to the main lounge and restaurant area, is the ideal space for your meetings, conferences and events. It fits up to 50 seated people or 100 standing. 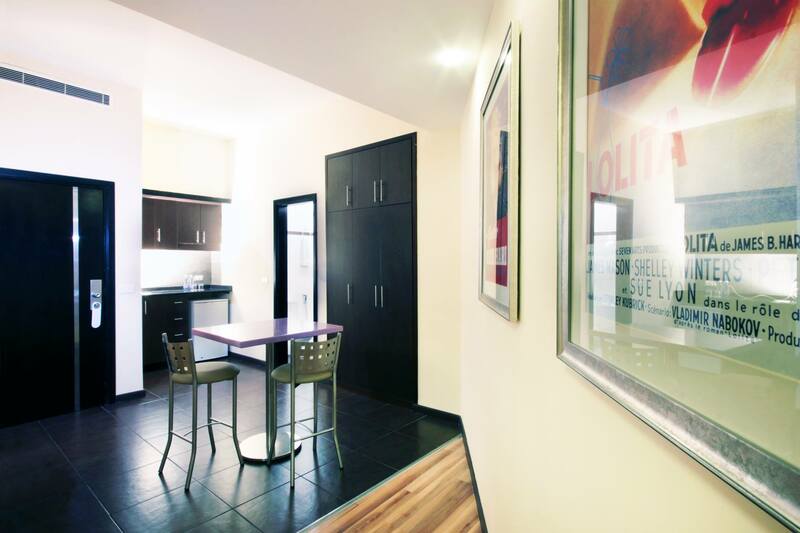 It has a direct and private link to the elevators and all other amenities. Sets, catering, and the latest multimedia and audiovisual equipment are available to make your memorable events the most successful. Assistance is also provided in administration services such as telephone, fax, internet, photocopying and more. No matter what type of meeting, seminar, cocktail party, reception or gathering you are planning, Suite Hotel Chrome has all the added touches to make it stylish and unique. Car Park, private underground parking accessible with a numerical code gate, and a direct elevator to desired floor - off-street parking is also available. Independent heating and cooling system. Iron & Board (upon request). Tea/Coffee making facilities (upon request). 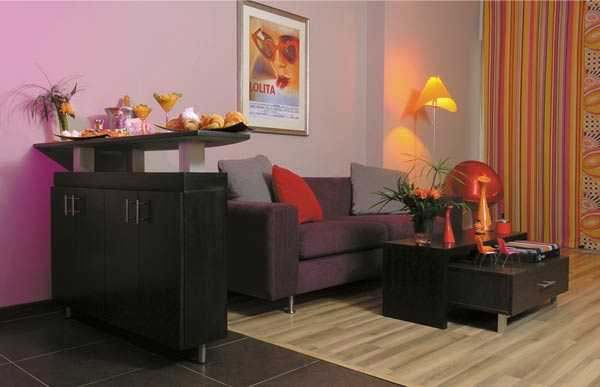 The Suite Hotel Chrome is part of a large shopping complex and sits within a busy business area. Various services are within walking distance. You will find a gymnasium, mini-market, pharmacy, mobile phone office, car rental, hair and makeup, arts and crafts, photography, florist and more. Our friendly and multilingual staff is more than happy to assist you in finding everything you need. Please give us your feedback and win a weekend with us. Thank you for taking the time to provide your comments which are invaluable for us. 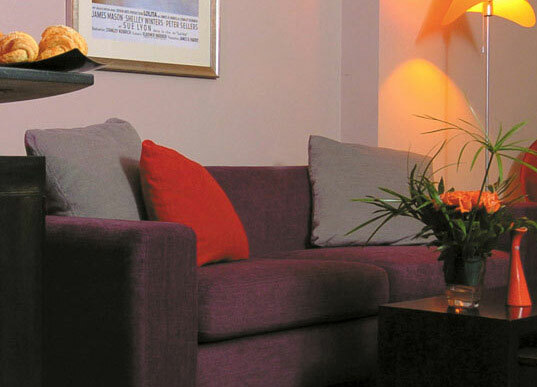 In return for your time, we have entered your name in a draw to win a at the Suite Hotel. The prize consists of a two nights stay with us,(Friday-Saturday, or Saturday-Sunday) in a honeymoon suite, inclusive for bed and breakfast for two people. 5- If yes, would you please provide us with their name/s. Facing St.Georges Square, Jal El-Dib, Beirut, Lebanon.